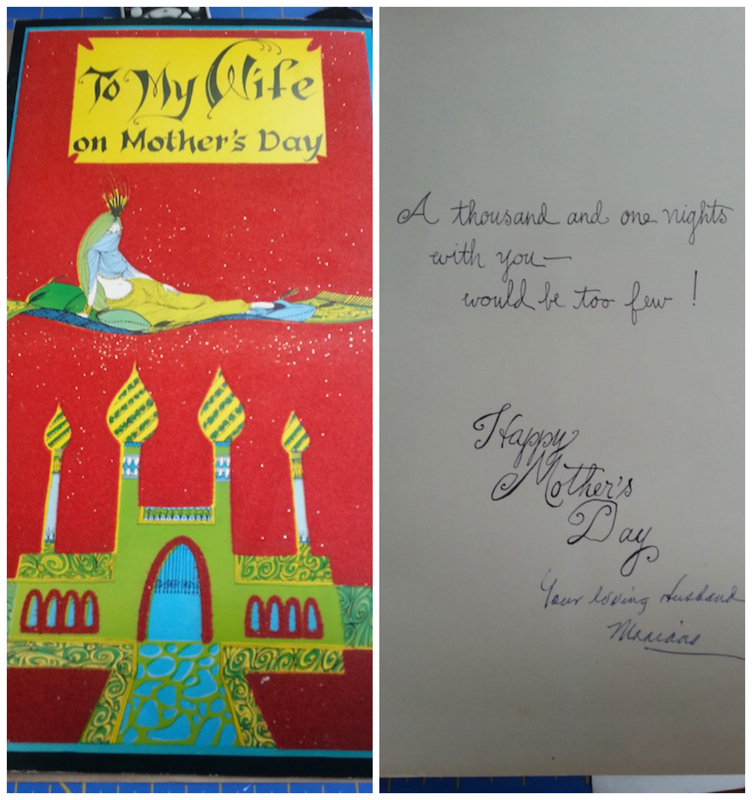 My best guess is that he gave this to her in 1969 or 1970. I may have a lot of my own momentos, but I don't have very many of my parents to each other so I cherish the few I have. this is priceless. is that the taj mahal on the card? that is a fabulous card and a wonderful momento! so cool! SO Very touching. :) Brought a tear to my eye.